Katie Leask is a First Officer at British Airways. She studied for here B.Sc. in Management Science at Southampton University, before going on to study for a foundation degree in Airline Transport Management at Buckinghamshire Chilterns University College. After gaining her foundation degree, Katie spent five months gaining practical experience as an aircraft dispatcher at private jet operator, Hangar8. I trained to be a pilot at Oxford Aviation Academy (OAA) and graduated in 2009. Since then I’ve worked for Hangar8 (now Gama Aviation) as a dispatcher, easyJet as a First Officer and now British Airways. I’ve wanted to be a pilot since I can remember, I love how dynamic it is, the excitement, the challenge, the sense of adventure all given to you working in the best office in the world. When we report in Heathrow’s Terminal 5 we print off all the flight information, brief the route, the weather and make the fuel decision all within about 15 minutes. With this done we then head off to meet our crew and to the aircraft. If I’m flying the sector I get to run it, liaising with the dispatcher, crew, customers, overseeing the set-up, carrying out the briefings as well as flying the aircraft, for both take-off and landing. We usually swap every flight so both the Captain and the First Officer get the same amount of sectors. The process I took to become a pilot was through the integrated route at Oxford Aviation Academy back in 2008. I did a lot of research before choosing that path and school. At the time, it was the best opportunity for me, plus you do it all in one course. It meant that you do ground school for seven months in Oxford, then all your light aircraft flying up to and including your CPL [commercial pilot licence] in Phoenix (the best four months of my life! ), followed by another four months back in Oxford completing your instrument flying and multi crew courses on the Boeing 737. The idea is that you leave the school with all the foundation skills, knowledge and instrument rating you need to be a pilot. Next step is to apply for as many opportunities as you can as you look for your first flying job, commercial / private / cargo etc. – you name it. Once a company hires you they then choose what aircraft you’re going to operate on and put you through a type rating. This specific rating will take around a further two months of ground school and simulators followed by about four months of line training and experience before you are released on the line to fly as a qualified pilot. I am lucky enough to have had quite a few family members in the aviation industry and, in fact, all of them in British Airways! My dad was on the 777, my uncle is on the 747, my cousin on the A320 and my mum used to be cabin crew – all for British Airways. Being a part of this exposed me to the industry from a very young age. When it was allowed (N.B. before 2001), I was able to go in the flight deck frequently for all take-offs and landings – it had me hooked! With their knowledge, enthusiasm and understanding of the industry there is no question it benefited me greatly and I am very thankful. I owe a lot to all of them. If you are between jobs or contemplating being a pilot, I found the best way to gain experience is to sign up for anything in the aviation world – it will look fantastic on your CV. I only worked for Hangar8 Corporate Jets for five months but it was the best experience I could’ve asked for. I learnt so much about what goes on in the background preparation wise for just one flight – the engineering, operations, flight planning, crewing, stocking and organisation. It truly gave me such an appreciation and respect for everything going on. Any job – be it in baggage control, engineering – that exposes you to the dynamics of the aviation industry would place you in an amazing position for the future. 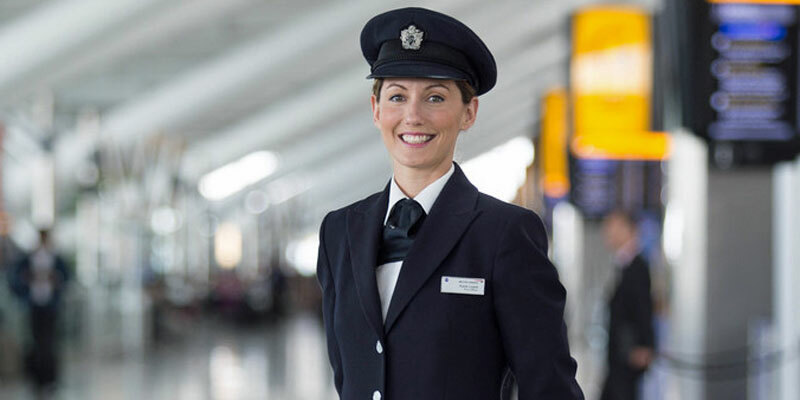 British Airways have been doing a great deal to promote female pilots. It’s wonderful to be a part of. 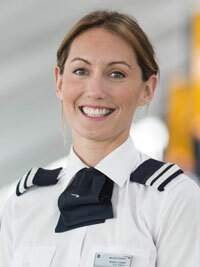 The airline runs a female pilot campaign which includes encouraging current female BA pilots to go to schools, colleges, careers events to give talks and act as inspirations to the next generation, as well as having female pilots as mentors on the BA Future Pilot programme to give support to female cadets undergoing training. As I’m currently on the Airbus it’s all short-haul, so we get a brilliant lifestyle, so much choice. You can choose anywhere from single days of work (two or four sectors) up to five days away on a tour where you stay in a different European city every night. British Airways is the most flexible airline I have ever worked for – you can swap with colleagues freely so those who want to be at home can do day trips and those who want tours can commute from great distances. 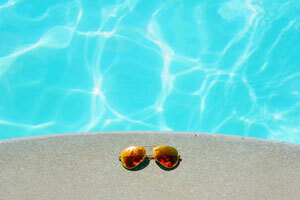 Long-haul is a bit different in that you don’t get day trips, but you do get much more time off down route to unwind and enjoy destinations, then return to your families fully rested (or just take them with you!). I totally fell in love with the idea. I’ve loved short-haul, especially at British Airways with all the night stops. Europe is stunning, but I’m ready to try out long-haul now. I have been lucky enough to be granted a Boeing 777 course near the end of the year and it’s so exciting! 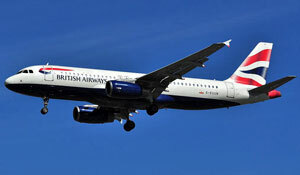 From there the dream is to go on into BA’s pilot training team – so watch this space. My future is much like that of my employers – supporting people into flying. I thoroughly enjoy supporting people and giving guidance, inspiring them to do it. I wouldn’t be here without all the help I have received so it only feels right to pay it forward. It’s the best career you could ever wish for!